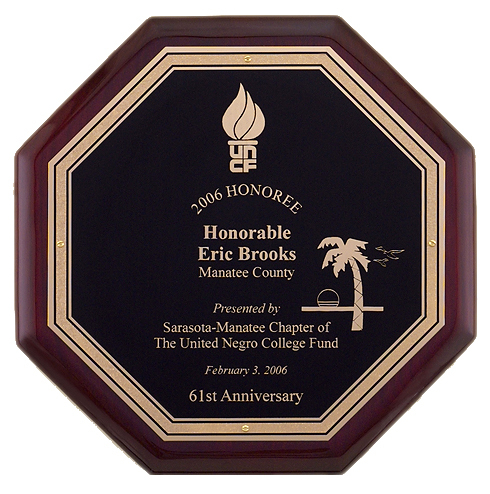 Ordering more than six plaques? Ask us about our quantity discounts. Bamboo plaque with iron stand. 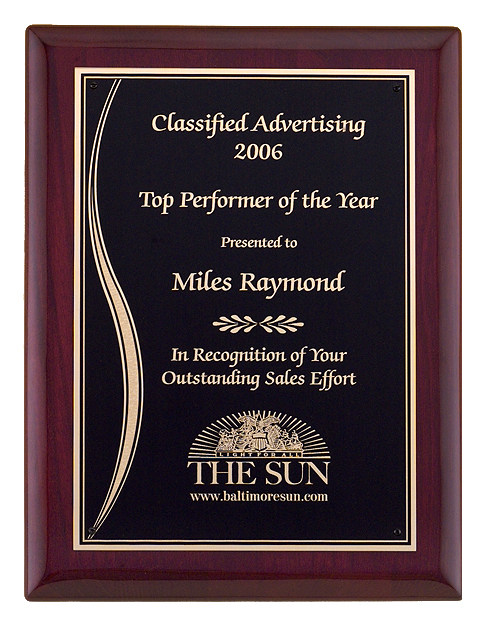 Octagonal rosewood stained piano-finished plaque with black florentine engraving plate. 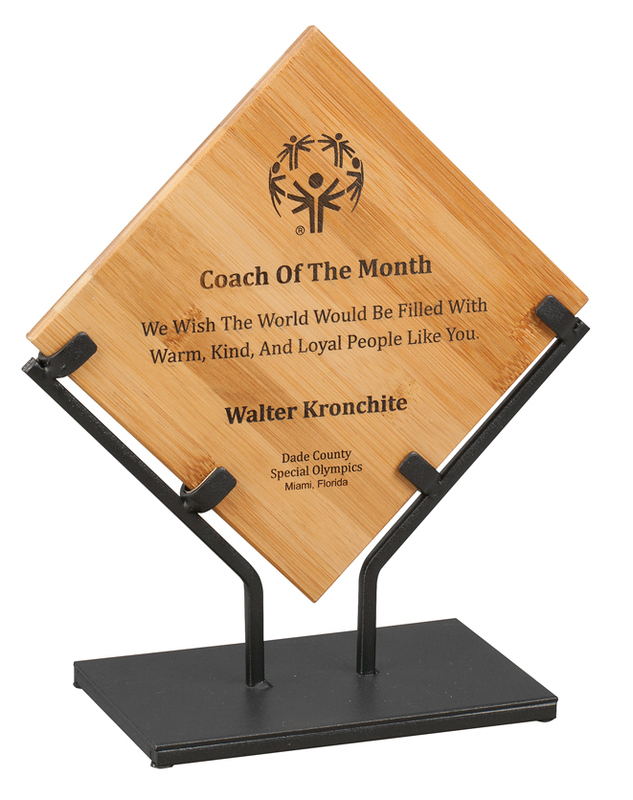 Rosewood stained piano-finish plaque, black textured center plate with florentine border. 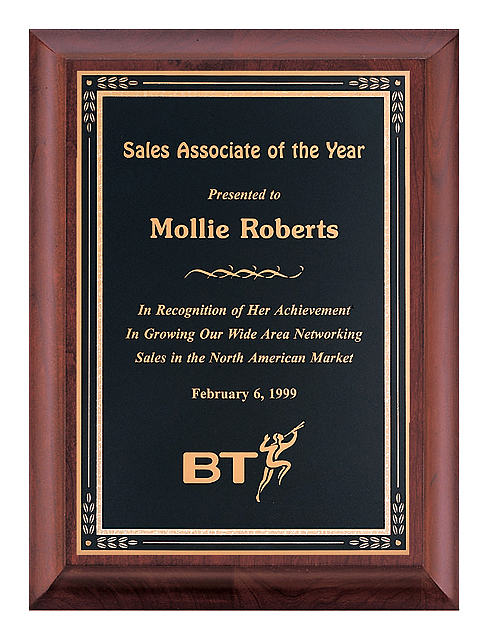 Size - 8" x 10 1/2"
Size - 9" x 12"
Cherry finish plaque with cascading gold swirl design engraving plate. Size - 11" x 14"
Rosewood stained piano-finished plaque with florentine wave accented engraving plate. 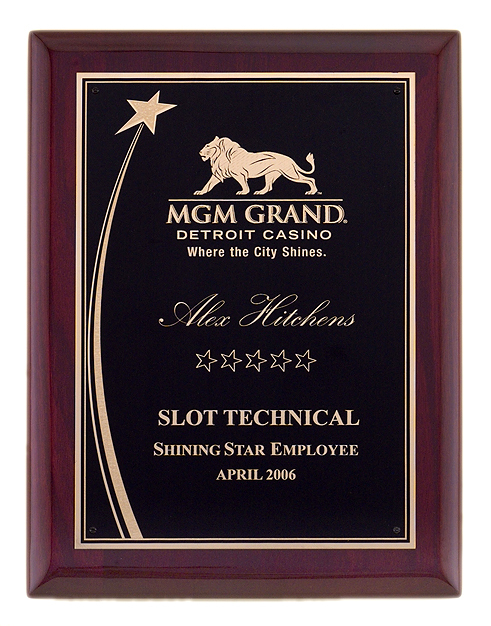 Rosewood stained piano-finish board, shooting star accent engraving plate. 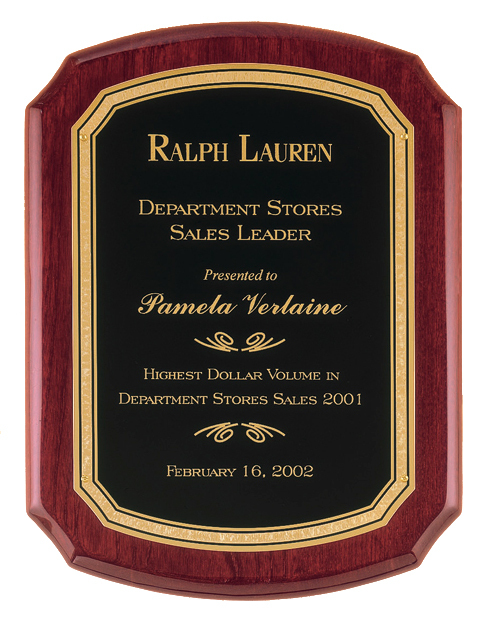 Plaque with rosewood stain & heavy-lacquer finish. 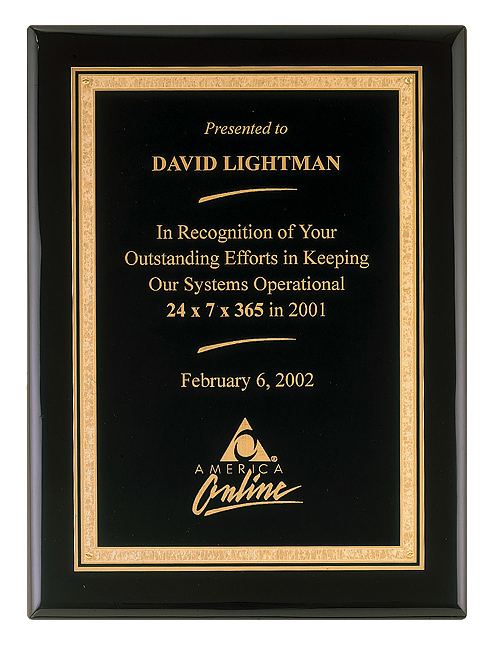 Black stained piano-finish Airflyte plaque with black textured plate & gold border. 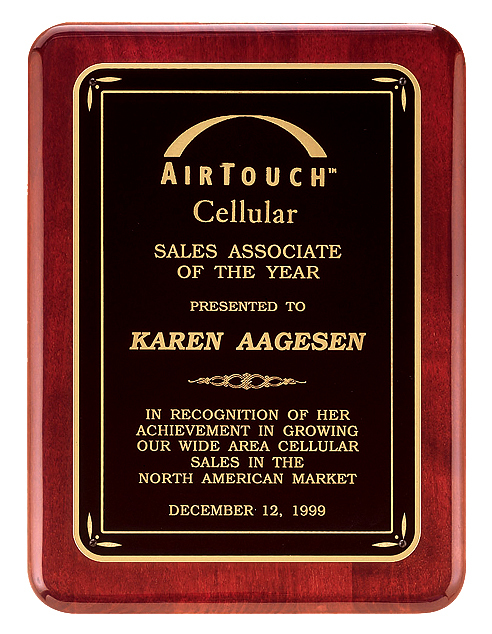 Cherry finish wood plaque, hand rubbed for a deep furniture finish. Gold florentine border with marble center. 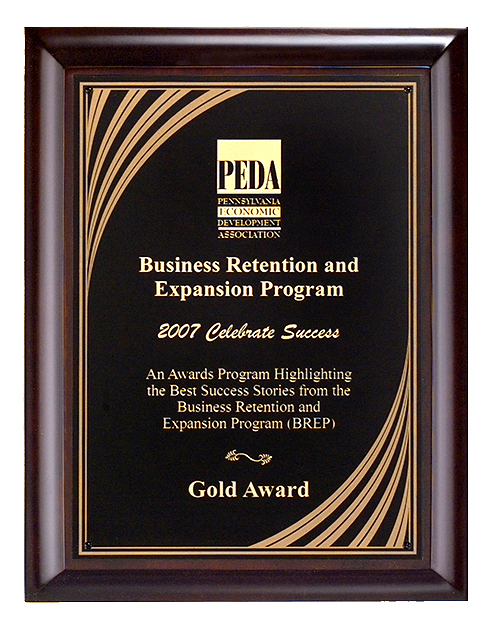 Have a specific engraving project? Call us or email us with the details.